Would it be okay for me to join you for lunch?” This short sentence, these few words, were the only thing I should have said. However, for some reason I was not able to say it. Not for the last few months. Now already a semester has passed since I started my university life, but unlike some other students, I still have no one who I can consider a companion. Furthermore, I feel uneasy and shy when I have to work with others or stand in front of an audience. Although I had to endure similar situations throughout high school, now it is much harder to cope with. I have tried several times to break through the invisible wall that isolates me. Nevertheless, I still feel lonely, and my distance from others never seems to decrease. I know that this is my personality, but should I try to change this part of me? Does this trait make me somehow lesser than others? Although this passage is only a fictional diary, the content of it may be, at least partially, familiar to some students. The anonymous protagonist could be anyone, including you, the one who is reading this right now. *: Are you an introvert or an extrovert? Find out by trying the survey on page 38. The concepts of extroversion and introversion were theorized and popularized by Swiss psychiatrist and psychoanalyst Carl Gustav Jung. Jung described introverts in terms of Apollo, a god who focuses on the internal world and is thoughtful. In contrast, extroverts were described in terms of Dionysus, a god who is interested in joining in entertaining activities in the external world. Introverts get energy by spending time alone. Spending time with other people could wear them out and dissipate their energy. 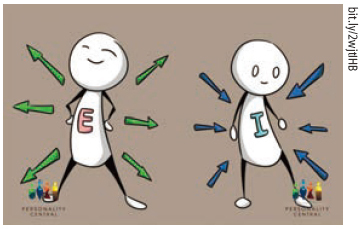 Extroverts are the opposite; they gain energy through social activities, while losing energy when feeling lonely. This does not mean that introverts are antisocial or shy people. Rather, these characteristics are only inclinations they are likely to prefer and follow in their behavior. Likewise, being extroverted does not mean that someone is a born leader or party animal, or always likes bright and noisy events. Both terms indicate different types of personalities. However, introversion and extroversion cannot be divided precisely, since they each just explain certain parts of the spectrum. Most people are neither entirely introverted nor entirely extroverted. Even Jung insisted that there are no pure introverts or extroverts. Rather, each individual is unique and has their own characteristics, which partially include features or traits of both introverts and extroverts. So, when we classify someone as either an introvert or an extrovert, we tend to make our conclusion based on whether that person’s personality leans more towards introversion or extroversion. As explained above, being an introvert or an extrovert is no more than a difference in personality. 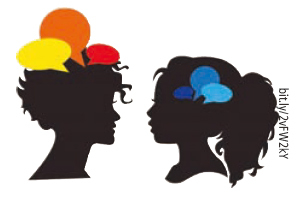 Nevertheless, many people think that extroverts are generally more preferred in our society. According to Susan Cain, the author of Quiet, a book about introverts and extroverts, approximately a third to a half of the American population are actually introverts. She claims that due to the social perception that extroversion is better than introversion, many introverts masquerade themselves as extroverted people. This indicates that worrying about your personality may not just be a problem of a certain group of people. A place where many introverted students of University of Seoul (UOS) confess their concerns is the UOS Student Counseling Center. “Personality trouble is the fourth biggest reason why students visit the center and seek help. This accounts for 9.6 percent of the entire number of visitors,” said Kim Sang-soo, a counselor at the UOS Student Counseling Center. “And most of them are introverts,” he added. Kim asserted that many people have the desire to be seen as extroverted, hoping to give an active and positive image to others, since such an image is considered popular to many people. “There are some students who have a hard time getting along with others. When the semester starts, there are always several visitors who confess that they cannot bear being around other people, even though they actually want to,” Kim said. “These people just do not know what to say even when they encounter a familiar face. This becomes a very stressful situation for them, and makes them wonder whether their personality is truly wrong” he added. Other members of the UOS community expressed concerns about being an introvert as well. One student, who considers himself an introvert and spoke under the condition of anonymity, reported that he is concerned about expressing himself at job interviews. He is worried about whether his introversion might become an obstacle in the future. This could become a big problem for others as well, since most students are likely to face interviews after they graduate from university. Most students approaching graduation either try to get a job or go on to graduate school, and both choices usually require interviews. Some introverted students are also concerned about their personality might affect their academic performance. An anonymous professor at UOS told us that some introverted students complain about feeling uneasy when working in groups. At university, some classes require students to do group work, and poor performance on group projects could seriously affect students' grades. The professor explained that such things could become a concern because introverted students are usually less active in communication compared to their extroverted classmates. Based on these inquiries, all in all, many introverts show signs of concern about their personalities. However, are these concerns necessary? If such concerns exist, it is quite reasonable to question whether the perception of extroversion being better than introversion is in accordance with reality or not. Cutting to the chase, being an introvert or an extrovert does not determine success. If you are trying to achieve a goal such as getting a job or gaining admission to a university, it simply doesn’t matter whether you are introverted or extroverted. According to the views expressed by the voices of the UOS community above, being an introvert sometimes might seem to be a disadvantage. On the other hand, traits of introversion could also become your strongpoints. Being able to work alone with high levels of concentration is one of those advantages. Staying in solitude might look pretty lonely, but such behavior could lead to new ideas. Humbleness is another characteristic of introverts which people highly appreciate. Furthermore, in contrast to the beliefs of many people, sometimes being an extrovert could serve as a disadvantage. “Sometimes extroverted students also visit the center,” Counselor Kim noted. “These students visit the counseling center because they have realized that their active behavior has provoked misunderstandings with other people. Even if an extroverted student has acted with good intentions, such behavior is not always accepted.” Kim also explained that some extroverted behavior might seem too frivolous and is thus not welcomed by society, especially at formal events. 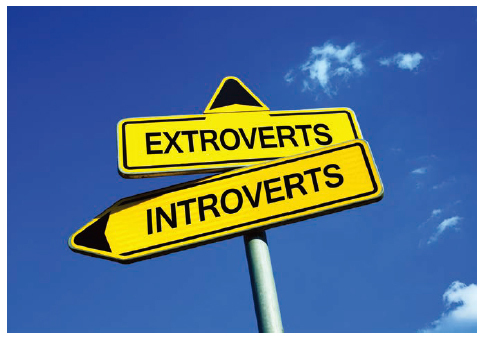 Even for job interviews, being an introvert or an extrovert is not a big variable. Bae Geun-hang is a UOS graduate and a self-proclaimed introvert. Having successfully made it through the job search process, he now works at SERICEO, a company that provides various educational contents and programs. “Introversion and extroversion cannot be decisive factors during a job interview,” Bae claimed. According to him, it is earnestness that paves the way to a successful job interview, not personality. 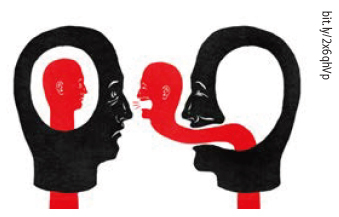 “Some conservative people in the upper ranks of large companies do prefer extroverts over introverts a little, but it is your ability and will which will be evaluated, not your personality. So, trying to change your personality will not change the employment result. There are both strengths and weaknesses for both personality types, so stop trying to change yourself, and instead have confidence,” Bae suggests. This tendency is still the same when applying for university and graduate school admission. There are many ways to test an applicant, including interviews. Some students are concerned that interviewees must have to be outgoing and dynamic to gain the upper hand. However, according to the anonymous UOS professor mentioned above, being an introvert or an extrovert does not really having anything to do with the results. The professor explained that in most interviews only a few questions are asked, which means that what the interviewers can learn about an interviewee during an interview is quite limited. Just as with company job interviews, interviewees who are able to express their abilities and strengths through a limited number of questions during a limited amount of time are the ones who have the advantage. This does not correlate with having a wide network of human relationships or being an introvert or an extrovert. In conclusion, introverts do not need to worry about interviews during employment or university admission, since it is not personality that is important in these cases. There is a stereotype of extroverts being leader-like. Probably this is because the image of an extrovert who is active and gregarious does match some famous people. However, there are many famous and successful people, including many leaders, who are actually introverts. According to a documentary produced by EBS, 35.9 percent of Korean CEOs described themselves as introverts, while only 19.1 percent considered themselves extroverts. This shows that introverts, too, are well qualified as leaders, perhaps even more than extroverts. An article from Yonhap News introduced several famous introverts and explored the reasons why some introverts have become so successful. Ben Bernanke, the former Chairman of the Federal Reserve, is a well-known introvert. In his autobiography, Bernanke described himself as a shy boy who liked reading when he was young. Other famous introverts include Abraham Lincoln, Warren Buffett, Albert Einstein, Joan K. Rowling, Bill Gates, Mahatma Gandhi, and many others. As for the reasons why some introverts have found such success, one possibility is that introverts are likely to be more cautious when they do things. A cautious approach decreases the possibility of failure, which means that a person is more likely to be successful. 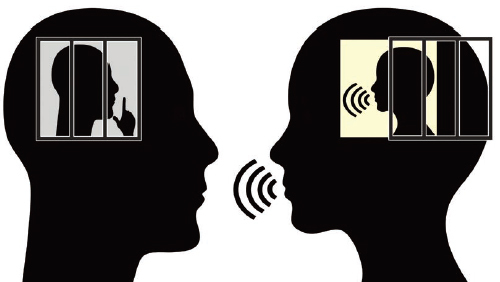 Furthermore, introverts are likely to be good listeners. This allows them to consider more opinions, which leads to a higher possibility of having better ideas. In addition, being humble can be considered a typical introvert characteristic, and if someone is humble and respectful, that person is likely to be respected too. Another trait that helps introverts to succeed is patience. When someone is patient and is not likely to give up, that person is more likely to gain success. Being patient also allows the person to develop new ideas, which might also lead to success. Even though introversion and extroversion do not really matter when it comes to success, there may be some introverts who are still worried about their personalities and want to change themselves. Yet Counselor Kim asserted that it is very hard to change one’s personality. “Students who are worried about their personalities should first try to find their strengths, especially the ones that come from their own personality,” he insists. “If they feel stressful about their personalities, first they must find the reason. After that, they should carefully question whether that reason is worth feeling such pain. If they consider it a serious problem, then change is needed.” So, if you think you are losing a lot because of your personality, first try to find out what the advantages of your personality are. Besides that, you can also try to figure out exactly what it is that is making you think that you have personality problems. If you are worried about adapting to a new environment after you graduate, it might be best for you to concentrate now and do your best while you are still at school. Kim believes that school life is like a prologue to life in society after graduation, and that there is a close relationship between the school and post-school worlds. This means that someone who has done well in their school life is likely to do well out in society. What he advises for concerned introverts is to start preparing for the post-school world when they are still students. ** : If you want to know more about the Student Counseling Center, go to page 10~11 for further details. Personality does affect the way we live. Some people like to hang out with their friends, while others just prefer spending time alone. Such things are just simple differences and do not determine how successful one will be. Being an introvert is not something wrong and is not something strange. The same is true for being an extrovert. So, whether you are an introvert, extrovert, or even an ambivert, you should love the way you are. Winter has come and the second semester is over. There have been some changes since the summer vacation. The first change is that I met Park. In fact, I have known him since the first semester, but I was never very friendly with him before. We became friends after working on a few projects together. Although he did not speak too much usually, Park was confident when speaking in front of a crowd, and he appreciated my work skills. This made our relationship constant, and now he sometimes has lunch with me. The second change is that I have gained confidence in myself. Unlike before, I am not too worried about being alone now (I do not spend all day with Park, of course). Thanks to my friendship with Park and to the counseling I received at the Student Counseling Center, I feel more assured that there is something I am good at and that there is nothing wrong with being alone. School life seems brighter than before. My old worries are now pretty much gone. And I believe it will be even better in the future. The UOS Times conducted a survey asking UOS students' opinions about introversion and extroversion. More than 95 percent of the students who completed the survey answered that in general, society evaluates extroverts more positively than introverts.